What a relief is must be to Leigh Whannell, the man behind the screenplays of half a dozen recent horror films, to finally arrive at the pole vault position of film creation. Already well versed in the many methods of urgent storytelling (not to mention some on-screen depictions of them), his love of this volatile genre has percolated through an arsenal of endeavors in the last decade, suggesting his appetite for all things devious in an indirect fashion while supplying him critical outlets for his creative chutzpah. While results vary from thoughtful to over-the-top, they all nonetheless point towards an inspiration that is faithful to the subject matter at hand. 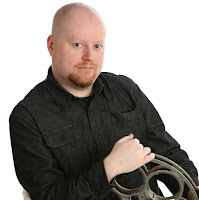 Like Wes Craven and Clive Barker, you can sense his underlying passions based on the enthusiasm of his work. So it is often a wonder that no one in the last ten years has given him the chance to helm such a movie from the director’s chair. And now, of all things for him to finally cross that bridge on, the reins get turned over to him on the set of this, the third entry into a movie series that he helped create. A key observation justifies that excursion: after the last “Insidious” film, something drastic was necessary in reigniting franchise interest. We are often immune to the unpleasant potency of film sequels, but “Chapter 2” was something else entirely: a bad movie that wasn’t even smart enough to know it was bad. That made it incompetent as well as implausible and after the mild success of its predecessor, the deadening impact of its failures was all the more rattling. Somehow, Whannell sensed that a change in direction could still yield palatable results, but his presence as both a writer and director on this venture causes other questions to emerge: namely, what did he feel he could change about it by serving as filmmaker, especially when the source of the problem in the prior outing wasn’t necessarily attributed to that film’s director? Sometimes, they say, full control is essential in supporting a thorough vision. The irony is that “Insidious: Chapter 3” is not only a good film, but actually better than both of its predecessors – well written, to be sure, but also fueled by a sense of pacing and stylistic orchestration that allows the scares to build naturally in the shadows, and not on a level that hammers us with endless peripheral nonsense. 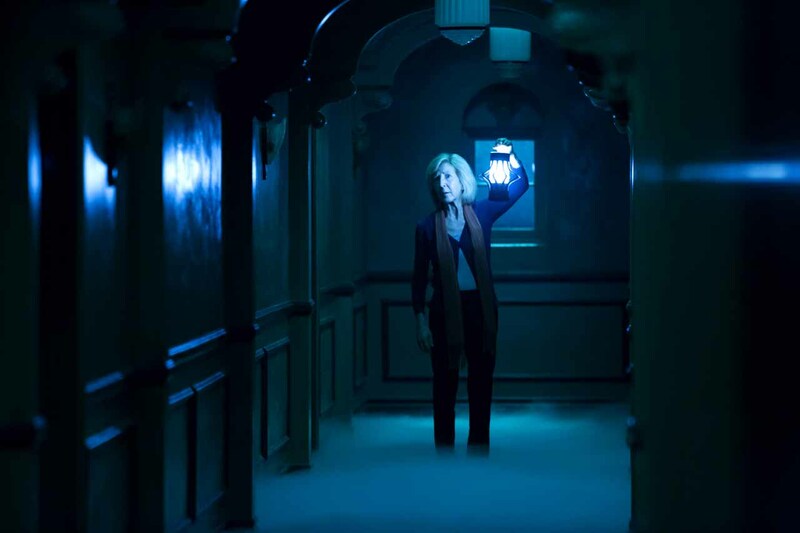 It tells a story conspicuously detached from the last two pictures as well, opting to go back a few years to show us the character of Elise Rainier (Lin Shaye) in the disquieting embrace of internal demons. The movie’s opening scene suggests her ambivalence through dialogue exchanges interlaced with silent fear; when she is visited by a kindly young girl searching for a way to contact her deceased mother, she briefly rebuffs the opportunity to take on the case because of… who knows what? Nonetheless, when an attempt is made to initiate contact, something disturbing possesses her vision. Is she being chased? Threatened? Does it prophesize her eventual demise? Whatever is going on in those unconscious images is clearly something disturbing, and she regards the encounter with such a paralyzing reaction that it only serves to ward her against further exploration. No, the supernatural world has no use for Elise; it wants to simply torment her beyond the limits of tolerance. The movie follows young Quinn Brenner (Stefanie Scott) as she struggles with the piercing grief of her mother’s death, suspecting that she is attempting to contact her from the other side and anxious to respond to those inquiries through any means she can. When wise Elise is unable to help her, she returns home to an apartment filled with strange noises and ominous footsteps. A presence seems to be beckoning somewhere in the dark, and sometimes a strange figure is occasionally spotted in the frame of distant windows. Is it a stranger? A lost soul? Long before she is able to ponder the thought, she is hit by a car in the line of traffic and rendered to a wheelchair, a common plot device used on horror movie heroines whenever they are being stalked by menacing people or forces who seek to cause harm. And as time goes on and the figure begins to grow stronger and more audacious, her situation comes with added fear: without the ability to run away from what is chasing her, how can she deal with it other than direct confrontation? The story arc is conventional in every sense of the word, but Whannell supplies the formula with all the precision and craftsmanship of a genuine thriller. To him, it’s about how one applies the details – must they be conveyed in an elaborate show of sensationalism, or can they be delved out strategically after the tone builds them to a climactic thrust? In imploring the latter technique, he creates a sense of genuine tension that only amplifies the inevitable jolts. We jump, we yelp, and at times we are genuinely unnerved by what is happening to these characters; they seem to be fully in possession of a malevolent force that refuses to reveal its ulterior motives. The presence of such a villain certainly helps cement that prospect, of course, and after the ridiculous showiness of the last antagonist in this series, it’s a wonder at all that this man was able to concoct a presence that was worthy of anyone’s time. But he does it by working in unison with its gradual agenda. Blurred visions are eventually replaced by harsh footsteps (they leave a trace of gooey substance on the floor) and pained distant screams, and in a stroke of exposition he is referred to as the “man who can’t breathe,” since all images of him show a man hiding behind a hospital air mask. As the movie throbs with his presence, it necessitates the characters to investigate by going to the obligatory source: the world of the dead that exists beyond our own. Here Whannell shows us dark hallways and echoing corridors that seem to mirror nightmares, and when Elise is stirred back into action by the inviting words of a colleague, her excursion through the “Further” reveals a beast that collects girls in the afterlife by manipulating them into suicide through reality. Some will be offended that such a detail is brought to discussion in a movie review, but “Insidious: Chapter 3” is about mood, not specifics. The movie wants us to sense the gravity of those situations. Sometimes that requires ambivalence about some plot points, but not always. Those that exist here are merely tools used to conduct the tone, which is so thoroughly modulated that mere words cannot describe their results. I have no shame in admitting that I was startled by certain moments on no less than four specific occasions. Think back: how long has it been since any movie – least of all a third film in a series – was able to do that without resorting to cheaply contrived visual gimmicks or musical chords? Both earlier films were directed by James Wan – Whannell’s most consistent partner in crime – which, in hindsight, might explain why this series seemed destined for a head-on collision: his overplayed urgency is too much to handle in a story that should only need tempered thrills. The strength of the writing helped the first movie rise above a plethora of awkward scene transitions and editing rush jobs, but by the time anyone got around to making the second chapter, they had all but lost their sense of priority. It was a sham of overzealous sensibilities. Now we arrive at a movie that plays like a grand experiment of brilliant technical choreography, and the results are just as exciting as they are promising. Prequels by nature tend to suffer the curse of bridging an idea with the continuity of stories that are already well-known, and to be sure there are moments in “Insidious: Chapter 3” that will feel precisely that way (why bother, for instance, with a scene in which Elise must suggest a collaboration between she and two incompetent paranormal gurus who would become familiar in the later entries?). But the movie is not a byproduct of questionable studio motives, nor is it a cop-out for financial gain. Whannell believes in what he is doing, sets a distinctive rhythm and follows through with it for the sake of thrills that pack an undeniable punch, even in context with this story’s exhausted formula.